The 1:3 Component Audio Distribution Amplifier is the perfect solution for distributing a single component video source along with digital or analog audio to as many as three displays simultaneously. 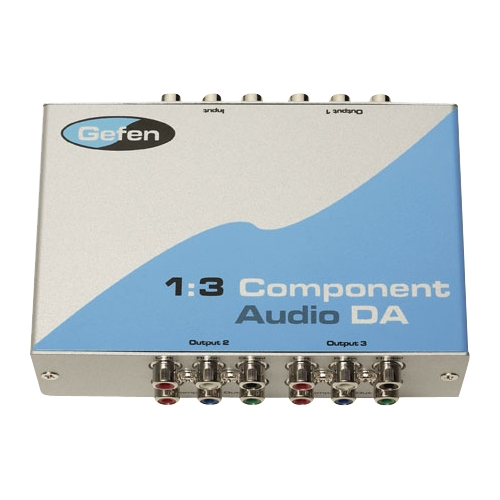 The 1:3 Component Audio Distribution Amplifier is compatible with all component video sources and displays, and supports video resolutions from 480p to 1080p. Operation is plug and play, and the unit is powered by an included 5V DC power supply. Multiple units may be daisy-chained together to distribute audio and video to up to 27 displays.